The latest fashion among right-wing trolls? 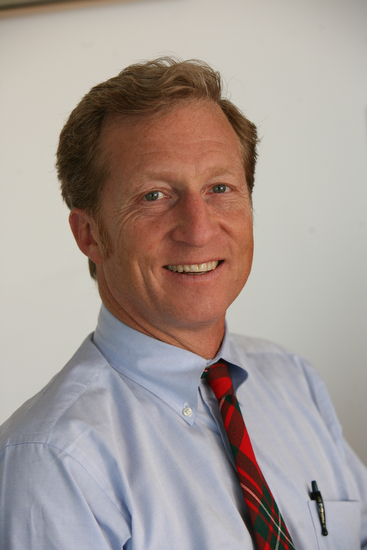 Attempt to halt all criticism of the Koch Brothers by bringing up the name of environmentalist billionaire Tom Steyer. We have our billionaire political donors, you have yours - what's the difference? 1) Making money vs. losing it: As Steyer puts it, the Kochs' priorities "line up perfectly with their pocketbooks - and that's not true for us." If you want to know why the Koch brothers went to the bother of spending hundreds of millions of dollars to create a vast infrastructure for casting doubt on climate science, well, it's not too hard to find a motive. Just check out their stake in oil and petrochemicals, investments whose value is likely to go down the moment we put a price on carbon dioxide emissions. They've clearly leveraged that investment with the millions they've spent indoctrinating rubes through their multitudinous Tea Party organizations such as Americans for Plutocracy (er, I mean "Prosperity"). Convince an army of ignorants that climate change is a Vast Conspiracy of Evil Scientists and you can spend more time relaxing at the golf course knowing that your oil and coal investments are safe and sound.